Big Hearted, by Patti Armstrong and Theresa Thomas, answers that question in a collection of moving, true-life stories, each one more inspirational than the last. 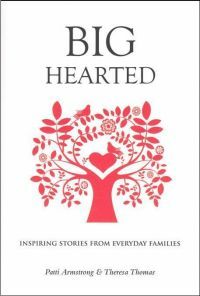 The stories in Big Hearted open up a window into the private thoughts and feelings of parents of large families. Not all of them love babies, although some of them do. Some mothers walk away from corporate jobs without a backwards glance, and others lock themselves in the bathroom to cry bitter tears before squaring their shoulders to walk out and give and receive as much love as they are able. Perhaps the most touching stories are by fathers. Much parenting advice is written by and for mothers. The father's perspective rarely takes center stage. But in Big Hearted, it was the painfully honest struggles of one father to accept his child with Down syndrome that brought tears to my eyes. Big Hearted debunks the myth that parents of big families are too crazy, too holy, or just too different to be quite normal. As revealed in the pages of this book, these parents face the same self-doubts and temptations as anyone else. But the power of prayer has wrought remarkable changes in their lives. They have weathered crises like alcoholism, unwed pregnancy, serious illness, and severe financial difficulties, and in the end they have found happiness. As a mother of six, I know that parents of large families don't have more God-given talents or sunnier dispositions than parents struggling to raise one or two children. But we keep trying to forge spiritual growth out of the seeming rubble of everyday life. Our hearts don't start any bigger than anyone else's. They stretch to fit our families. Not knowing that big families make big hearts, people ask insatiably curious questions. Are you done? Are you still trying for a girl? Or a boy? The conversations usually end with the questioner insisting, "I could never do that." Our immediate reaction is annoyance. But behind people's constant questions, however poorly expressed, is often admiration and a deep desire to understand the increasingly rare phenomenon of a big family. Big Hearted brings big families back into the realm of the real, the understandable, the achievable, and the desirable. It contains a treasure trove of insight for people wanting to know "why would anyone choose to do that?" And for those just embarking on the big-family parenting adventure, it might answer the question, "What on earth have I done?" For more information about Big Hearted, read Lisa Hendey's interview of author Patti Armstrong here. Big Hearted is available online from Scepter Publishers and from Amazon. My thanks to Scepter Publishers and Patti Armstrong for providing a free review copy. 1. Ask for it. 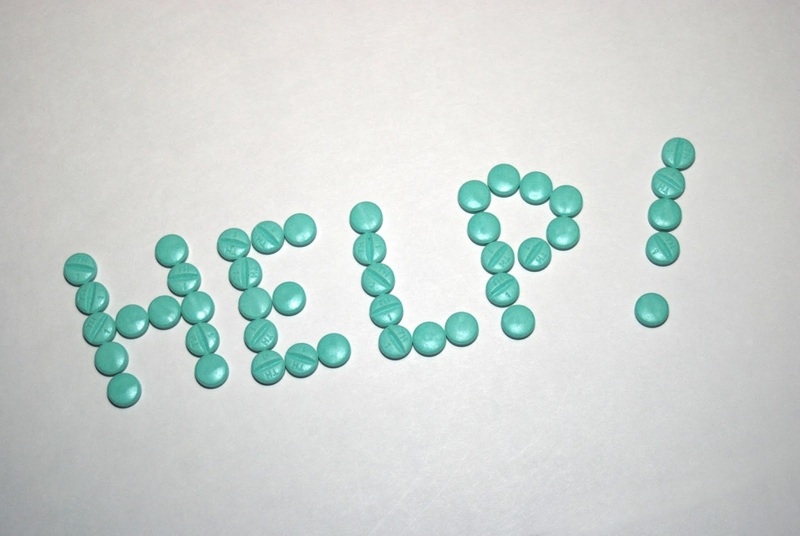 Moms sometimes have trouble asking for help, either out of pride or because they don't want to burden those around them. "For me, the word ‘help’ stuck in my throat like a fishbone," admitted author Serena Kirby. 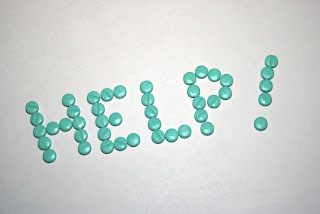 "When you don’t ask for help you don’t get support and research shows with decreased support comes increased isolation, anxiety, fatigue and depression," she continued. So, overcome your reluctance, and ask for the help you need! 2. Ask your husband. Whether it's a small task like a changing a diaper or a big task like firing up the grill to make dinner, your husband might cheerfully pitch in to help on difficult days. You can also ask him to take the kids somewhere to do an activity they all enjoy, like biking or swimming or going to the movies. How will that make you feel? "Oh. So. Grateful," said my friend Tara when her husband recently barbecued for dinner. 3. Ask your friend. One day I saw a mom with two baby strollers sitting in Starbucks. Curious, I asked her what she was doing. She was watching both babies while her friend got a haircut, and her friend had promised to do the same for her. What a genius idea! Friends can also take stroller walks together if they have only one or two kids apiece, or meet at the park if they have multiple munchkins. My friend Beth frequently offers to get me a gallon of milk and loaf of bread when she swings by the grocery store. It can save me from an hour's errand with a bunch of cranky kids bound on destroying the store. 4. Pray for it. Don't underestimate the power that fifteen minutes of prayer can add to your day. St. Teresa of Avila suggests that you take the peace that you find in prayer and carry it with you, careful not to spill it, as you take care of your daily duties. Just picturing that image can help restore calmness and peace. 5. Pray more for it. Prayer groups combine prayer and friendship. Most of them are happy if you bring a few kids to play on the rug while the moms chat and pray. Writer Bonnie Krueger has received a great deal of comfort and support from joining a group of moms who pray for their children, and their children's teachers, administrators, classmates, and school. "No longer do I passively spend my day worrying about my kids in their school environment. I am actively seeking God to bring Him my concerns; and also quick to give Him the glory when we see prayers answered," Bonnie said. 7. Listen for it. Sometimes we tune out other people's observations or advice because it sounds like criticism. But sometimes another person's perspective can be invaluable. Writer Amy Skalicky related that "a friend, who had the professional knowledge to do so, shared with me years ago that she observed in my daughter sensory processing issues. I had no idea at the time, and afterwards, I realized that a number of people had made the same observations, but did not have the courage to say something to me. ...At any rate, I appreciate this lady to this day, for it spawned a completely different view of my daughter and myself as her mother." 8. Pay (a little) for it. My 12-year-old daughter Lelia really wants to earn money so she she can pay her half of her cell-phone bill. I offer Lelia a few dollars an hour to be a mother's helper and watch my 3-year-old while I'm nearby taking care of the other kids or doing something else. It frees up my time, and gives my daughter a chance to learn responsibility and earn money. 9. Close the bathroom door. For those of you who go to the bathroom with the door open to maintain constant availability to your kids (you know who you are), shut it. My friend Sharon says she leaves her children sitting on the floor in the hallway staring disconsolately at the bathroom door. She still won't let them in. Sometimes mommy guilt can be taken too far. 10. Flash back to a simpler time. Remember your own childhood without car seats, bike helmets, electrical outlet covers, and a million other safety devices? You're still here, aren't you? There's a fine line between being safety-conscious and being safety-obsessed. If you ever start to panic, remember "what our parents did wasn't so bad," advised writer April Carvelli. 11. Think out of the box. If it's too difficult or expensive to arrange for a night-time date with your husband, arrange a breakfast date instead, recommended Lauren from G+. Drop the kids off at school or day-care and go in to work an hour or two late, if your employer won't mind. Or if your parents are visiting or live in the area, ask them to watch the kids a few hours on a weekend morning, just because. 12. Give in to your kids. If you automatically respond "no" to virtually any request by your kids, try saying "yes." It may totally change the way they relate to you. Once I was so sick with the stomach flu that I could barely get off the couch, so I let the kids eat Twizzlers for breakfast and watch tv all day. They remember it fondly as the day mommy "just gave up." And surprisingly, they didn't start to expect Twizzlers for breakfast every day. 13. Organize a little. You've heard it a million times, because it's true. Organization really makes everything run more smoothly and easily. But organizing everything might be out of your league right now. So organize a little. Spend 15 minutes organizing one drawer. Or commit to accomplishing just one thing a day beyond your normal household chores -- returning one phone call or making one doctor's appointment. Slow progress is still progress. You'd be amazed how it adds up. 14. Organize a lot. If you're desperate for a major over-haul and willing to invest the time and effort to make it happen, have I got a book for you. A Mother's Rule of Life by Holly Pierlot gives you step-by-step instructions for organizing every aspect of your life. Scheduling things at the optimal time makes them happen more quickly and with less hassle. The pay-off is huge. "We cannot become starched Christians, too polite, who speak of theology calmly over tea." Because that's me. Substitute coffee for tea, and I would happily sit and sip a tasty beverage while chatting about theology all day long. “And when you give alms do you look in the eyes of the people you give them to? Pope Francis makes me confront the ugly fear I have of the poor, the sad and dying, the criminal -- the "other." I never wanted to practice criminal law after graduating from law school, because I didn't want to be near criminals. If I defended them and they were dissatisfied with the defense, I reasoned, they would kill me. If I prosecuted them and sent them to jail, they would have someone else kill me. Pope Francis' courage shows me how mistaken I am in my fear. 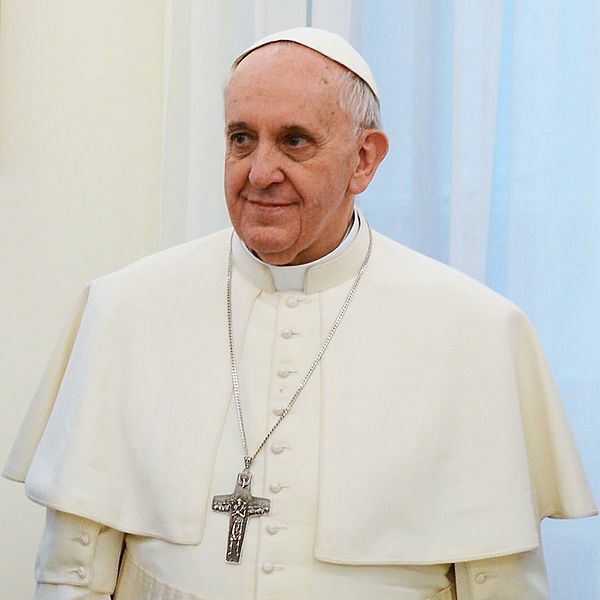 Pope Francis might have looked afraid when greeting the thousands waiting in Vatican Square to shout his name as the new pope. But he has gone to the prisons and the slums and the streets without fear. Pope Francis has destroyed my fantasy that Jesus' call to visit those in prison applies only to those wrongly imprisoned, like political prisoners or people jailed for their Christian beliefs. Pope Francis has wrecked my certainty that I have satisfied my obligation to feed the hungry and clothe the naked by feeding my own children and clothing their nakedness. He has undermined my self-satisfaction in the amount of money we tithe. There are more people to serve. There is more work to do. Pope Francis makes me ashamed because he makes me realize that I am not half as good a Christian as I think I am. But that is not a reason for despair. It's a call to action. It's hard to find a good supernatural thriller, especially one that stays true to its Judeo-Christian roots. Indiana Jones and the Raiders of the Lost Ark is one. Cheri Vause's novel The Garden of Souls is another. The Garden of Souls has a goodly amount of swashbuckle in it, as well as a search to uncover the mystery of our creation and the one who created us. The vivid imagery and fast-paced action make the book flash across your imagination as if you were watching it on a movie screen. The male lead, Liam, is a priest-archeologist torn between obeying his superior's orders to catalog piles of moldering documents in the Vatican archives and his desire to join his best friend Avi in discovering the secret of humanity's origins hidden in the blistering Israeli desert. The female lead, Alana, is an archeologist seduced into a ring of criminals who steal priceless antiquities and sell them to the highest bidder. Indy and Marion Ravenwood have nothing on them. At the heart of the book are the main characters' struggles to choose between irreconcilable destinies. Liam feels he is losing his vocation to the priesthood. Alana has turned into an FBI informant gathering evidence to incriminate her fellow conspirators, but she despairs of making it out of the criminal underworld alive. The two meet on a quest to find the burial site of the Old Testament figures Abraham and Sarah. What they unearth is a mystical passageway to a land virtually unseen since the beginning of human history. The dream-like sequences near the book's end reminded me of the visually stunning, but not particularly Christian, depiction of the Tree of Life in The Fountain, a 2009 film starring Hugh Jackman. The quest of the characters in The Garden of Souls is ultimately the search for God and their own individual destinies within God's plan. As Liam's best friend Avi, the skeptic, marveled: "the Old Testament is coming to life, becoming fact. ...This means God is real." And the quest's driving force comes from the characters' families, who propel them toward the lives that God wants for them. The fourth commandment to honor your father and mother is "the anchor for every child to steer his way through life,"states The Garden of Souls. The book fleshes out the truism that our relationship with our parents deeply colors our feelings about God. The beauty and terror of our vocation as parents is that our children's relationship with God will show us how well or how poorly we reflected God's love to them as we raised them. In The Garden of Souls, Alana's life of subterfuge has contaminated her relationship with her father. She lives a lie within a lie as an FBI informant pretending to be a criminal and as a criminal pretending to be an honest archaeologist. She wishes to end the lies. The expedition to the ancient burial site, while "rattl[ing] the agnostic cage that she had constructed around herself," makes Alana long primarily for one thing. To apologize to her father for being such a terrible daughter, and thus restore normalcy to her life. Faith awakens love, and vice versa. Liam is also at a crossroads. Emotionally scarred by the death of his mother and father, Liam is plagued by nightmares. When the time comes for Liam to choose his destiny, he receives the mysterious advice that his mother is the gate and his father is the key. On one level, this advice guides Liam to the heart of a fantastical land where he finds the answers he seeks. On another level, these words hint at how Liam's parents instilled faith in him and planted the seed of his vocation. Liam's mother was a Jewess, and Judaism is in a sense the mother of Christianity. Through the gate of Judaism, the religion of the Old Testament people of Israel, Christians enter into the knowledge of the One God. The analogy holds true with Liam's father as well. Liam's father came from a long line of men dedicated to helping the Catholic Church. Just as Judaism is the gate, Catholicism is the key to unlock the fullness of truth about Jesus Christ, the Messiah, the only-begotten Son of God. Liam's inner spiritual journey towards a deep and abiding faith in God's promises can be followed by all of us. 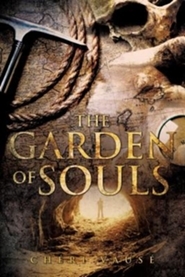 The Garden of Souls was published through the Christian self-publishing firm, Xulon Press, which might not have been the ideal choice for Vause. Xulon, which provides some editorial services to its authors, has a style marked by radical abandonment of commas and a self-described "looseness" of verb tenses, which includes using the present tense occasionally although the story takes place in the past. While the editors stand by their choices, my background as a lawyer and journalist leads me to regard these choices as simply grammatically incorrect. They mar the flow of the story and present an annoying distraction to an otherwise excellent narrative. Moreover, at around $16 on Amazon or Barnes & Noble, the book is pricey for paperback fiction. The $8.99 Kindle version is a better deal. But you get enough 50-cent words to make up for it -- the author's exquisitely elegant word choice is one of the most delightful aspects of the book. As stated by one of the reviewers on Amazon, where the book currently has a 5-star rating, I can't wait for the movie to come out. My thanks go to the author for providing a free e-book review copy. 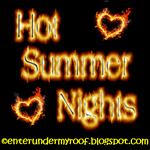 Hope you've enjoyed all the great posts so far in the Hot Summer Nights series! The last post went up on July 31. In case you missed any, you can link to posts from the first half here, and you can link to the rest of the posts below. Mine is July 22. :) Relax and have fun with your hubby this summer. Nothing's better than that!